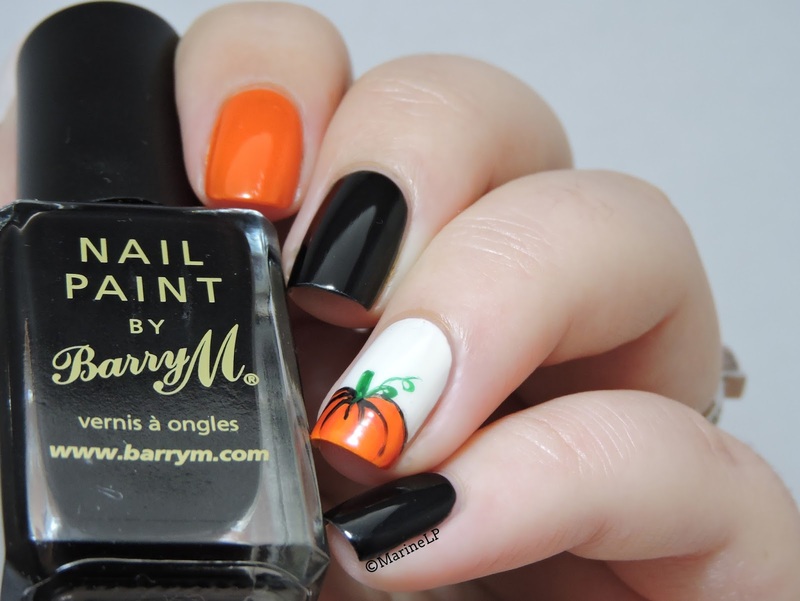 Home Barry M Black Barry M Coconut Free hand Halloween Halloween nails Max Factor Bright Orange Pumpkin Pumpkin nails Nailstorming - Halloween ! 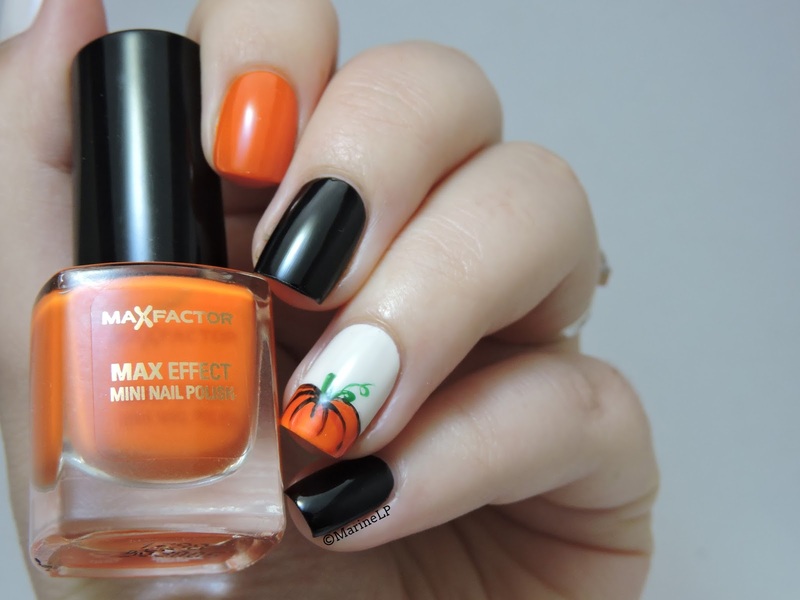 On est dimanche donc c'est Nailstorming et aujourd'hui, on célèbre Halloween avec un peu d'avance ! 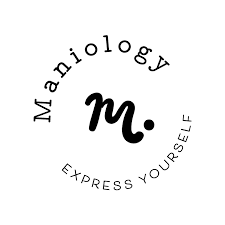 Cette année, je dois avouer que je n'ai pas eu beaucoup d'inspiration, ni de temps donc ma manucure est très simple. 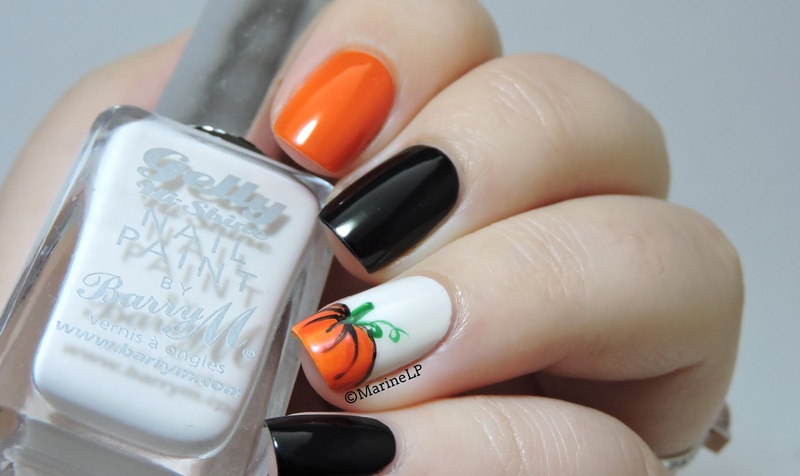 Halloween = citrouille, pas beaucoup de temps = accent nail, donc accent nail citrouille! It is Sunday so it is time for the Nailstorming and today, we are celebrating Halloween a little bit early! This year, I have to confess that I was not very inspired and did not have a lot of time so my manicure is very simple. 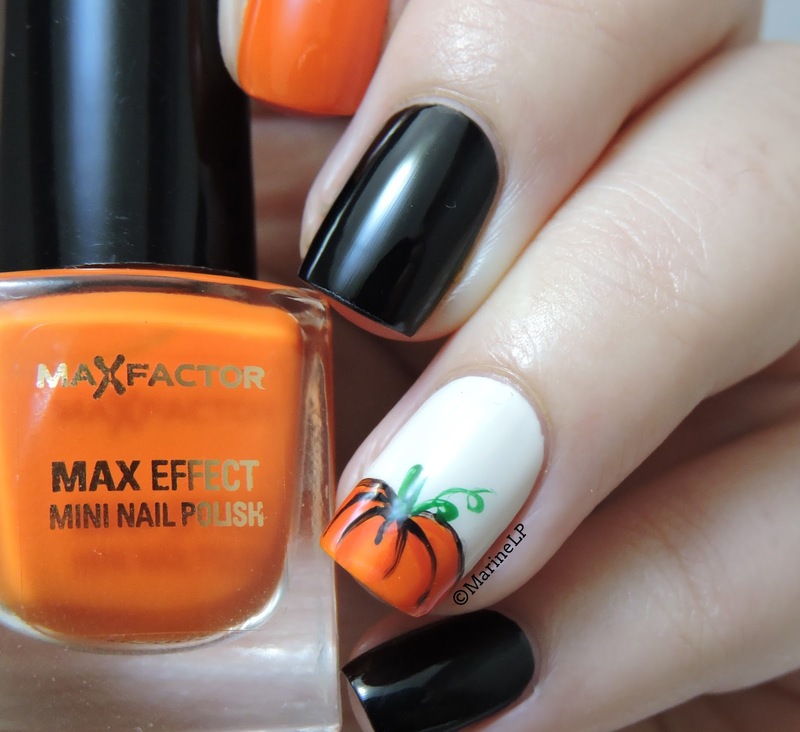 Halloween = pumpkin, not a lot of time = accent nail, so pumpkin accent nail it is! 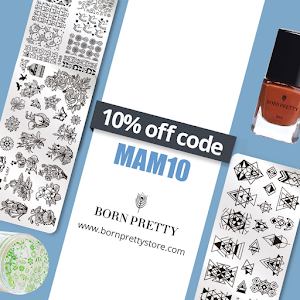 Pour cette manucure, j'ai d'abord posé le joli Barry M Coconut sur le pouce et l'annulaire, le Barry M Black sur le majeur et l'auriculaire et le Max Factor Bright Orange sur l'index. 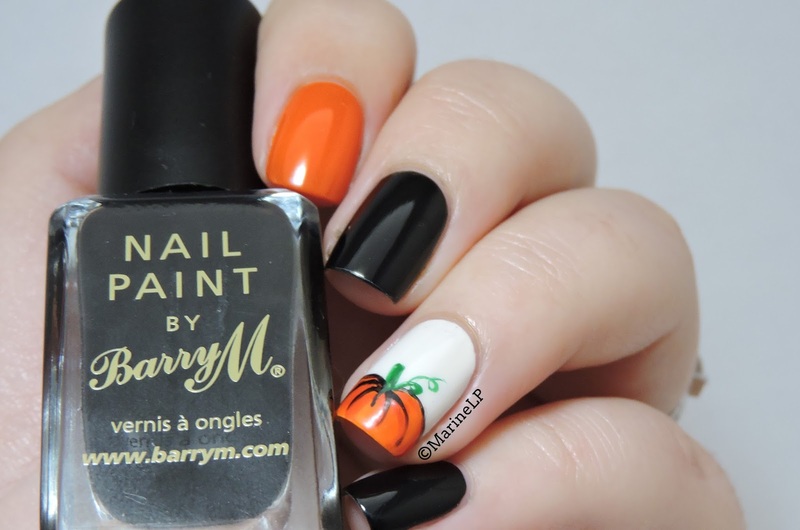 For this manicure, I started by applying the pretty Barry M Coconut on my thumb and ring finger, Barry M Black on my middle and pinky finger and Max Factor Bright Orange on my pointer finger. Les vernis Barry M ont l'air tellement tops !! elle est parfaite ta citrouille! 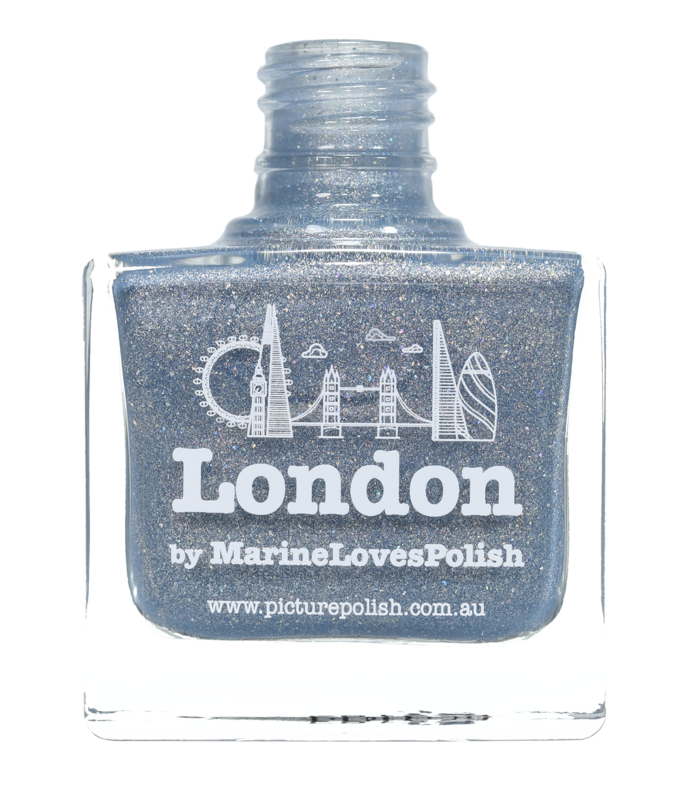 It may be simple but it is eye catching because of the colors and perfect accent nail!